Reports from sources in the Ondo State house of Assembly says the Speaker of the house, Samuel Adesina Ajayi has passed away. It was gathered that Ajayi reportedly died last night at an undisclosed hospital in Lagos. The speaker’s absence from the state parliament became a source of worry for over three months. The speaker has been battling with cancer for several months before his death. SaharaReporters could not immediately confirm Mr. Adesina’s age, as the Ondo State governor’s spokesperson Eni Akinsola said he could not confirm the death of the speaker. 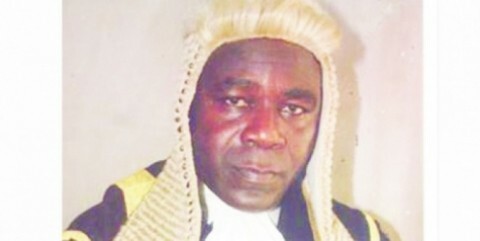 Tags: dies, House of Assembly, house of assembly speaker, house of assembly speaker dies, house of assembly speaker dies of cancer, house of assembly speaker Samuel Adesina Ajayi, house spaeker, Labour Party, ondo speaker, Ondo state house, ondo state house speaker, Ondo state House Speaker dies, Samuel Adesina, Samuel Adesina Ajayi, Samuel Adesina Ajayi dies of cancer, Samuel Adesina Ajayi house of assembly speaker dies, sate house speaker dies, speaker, speaker of the house of assembly, The speaker's absence from the state parliament became a source of worry for over three months.